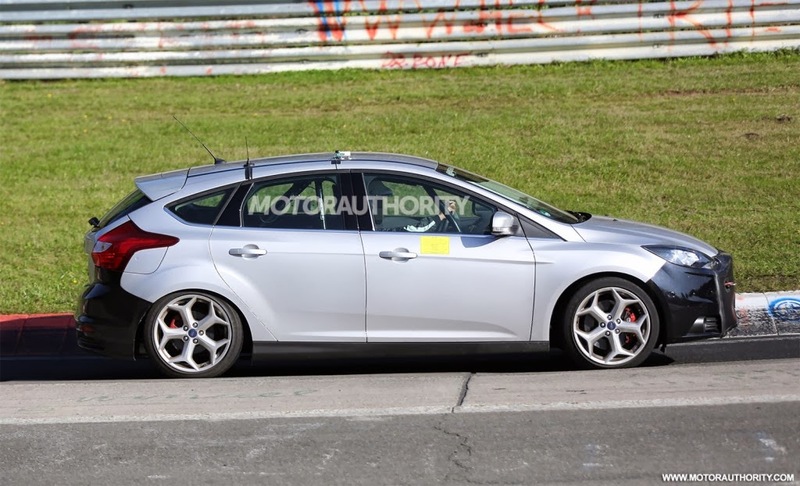 BRIGHTON, Mich. - A prototype of the latest Ford Focus ST model was spotted in Europe with a slightly different face than what we're used to. 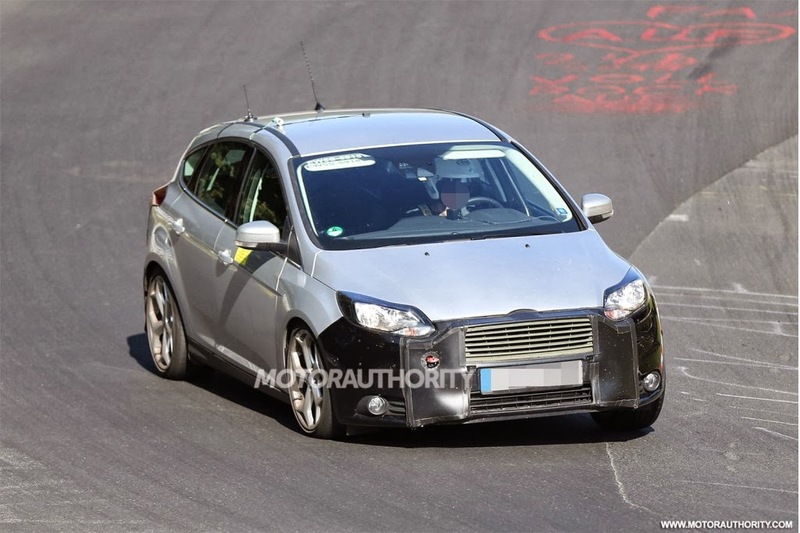 Although the vehicle is only in its second model year, this sneak peek of the 2015 Ford Focus ST shows that it is getting a mild update. The Ford Focus ST is still new and competitive in its segment, so changes to the vehicle are expected to be minimal. Currently, the Ford Focus ST has a 2.0-liter EcoBoost four-cylinder engine that delivers 252 hp - this gets the vehicle from 0-60 mph in 6 seconds. This setup is still current and relevant, so most likely there will be no changes in that department. Instead, it appears that all the changes to the vehicle are in its styling. While the grill is covered up, the fact that they are hiding it hints very strongly that it will be receiving some changes. The headlights also appear to have been tweaked to resemble other Ford vehicles such as the Ford Fusion and the 2015 Ford Mustang. Rumors have also suggested that the interior will be getting an update, although these shots aren't able to give us a glimpse of what changes could be happening inside. While we only have these few details about the vehicle to share, more specifications and pictures are sure to appear across the internet before the vehicle is introduced sometime next year. 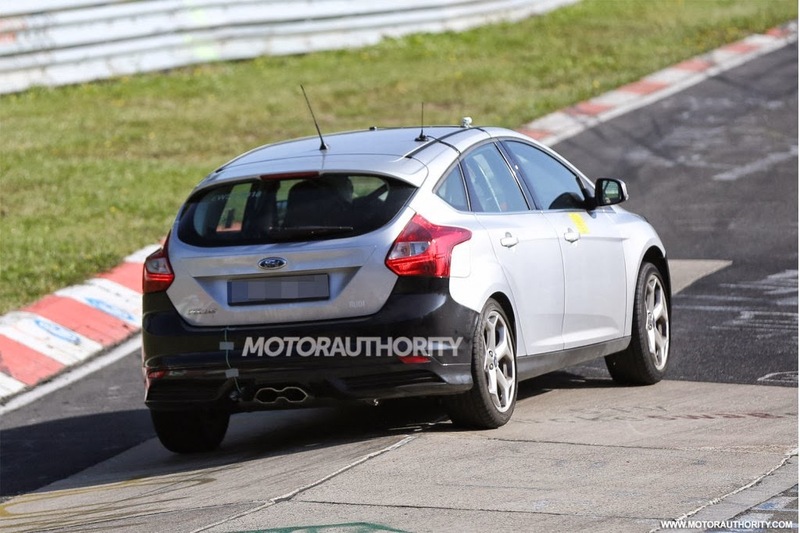 Expected to debut at a major North American auto show early in 2014, this sneak peek of the 2015 Ford Focus ST should hold you over until then. If you'd like to check out the current model, we'd be more than happy to set you up with a test drive at our White Lake Area Ford Dealership! We are also proud to be White Lake's Used Car Dealer, so while you're here check out our great selection of Certified Preowned Cars For Sale and get a like new vehicle for less!